Avid doesn’t ‘do budget’. Owner and designer of Avid, Conrad Mas has described the Ingenium as his “budget model” but, well, it isn’t, really. Not in the classic sense of the term. 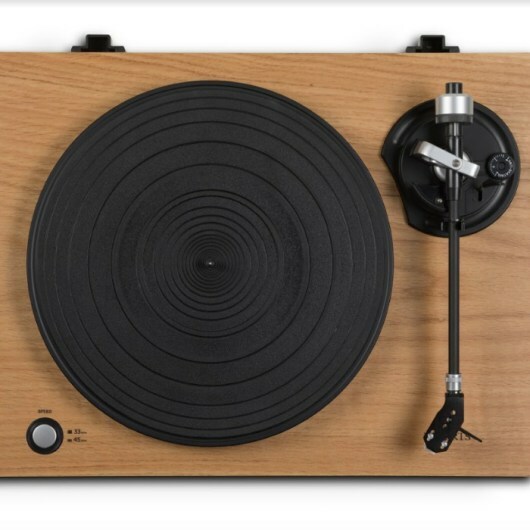 A turntable costing £250 is budget, not one priced at £1,500. 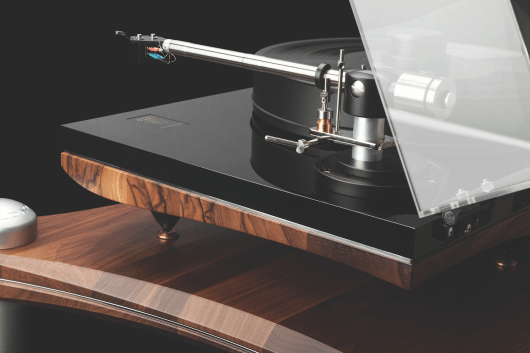 What the Ingenium can be successfully described as is the simplest distillation of the Avid turntable ethos. When he started his company, Mas created the best turntable he could at that time. That design proved to be the Acutus (see Dream Machines on page 110), a deck that alone retails at around £12,000 or so – and that’s without an arm and suitable cartridge. Once he was happy with that design, Mas set about simplifying and trimming, to producea series of cheaper turntables from that template. 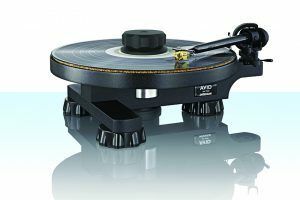 The idea behind his method is that you get the most expensive turntable ‘right’ and then every cheaper turntable from that point onwards (downwards) retains the same essential elements that made that top-of-the-range model work. There’s a distinct family resemblance, but also a sense of sonic consistency. The culmination of all of this is the Ingenium, the Acutus design stripped down to its most basic form. ‘Basic’ is slightly disingenuous, though, because the Ingenium is really anything but. Based on a very strong two-and-a-half inch solid aluminium T-shaped chassis, the turntable can be bought with a choice of tonearms. The lowest-cost option – and the one I chose for this review – is the Pro-Ject 9cc. If your budget will stand it, though, you can up the ante with an SME M2-9. This is a superior arm and one well worth pursuing, if you can. More than that, you can also request a 12-inch SME fitting as an alternative. Ambitious users can also have a twin-arm option of two nine-inch SMEs, or one of each nine-inch and 12-inch SME fitting. Other combinations and arm fittings are available upon request. 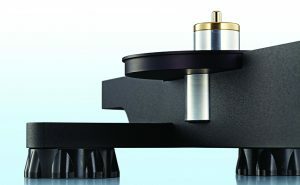 The Ingenium uses a sapphire bearing and the platter has been retained from the more expensive Diva II. Additional parts include the clamp and isolation feet, along with a cork platter mat. The Ingenium uses the same optimised anti-vibration elastomer employed in the Diva II and a mains-powered version of the motor employed in the Diva II within a bespoke housing. There’s no cover, but you can buy one as an extra. As for sound quality? Playing Neil Young And Crazy Horse’s Down By The River provided a focused bass, and rim shots hit with real precision. 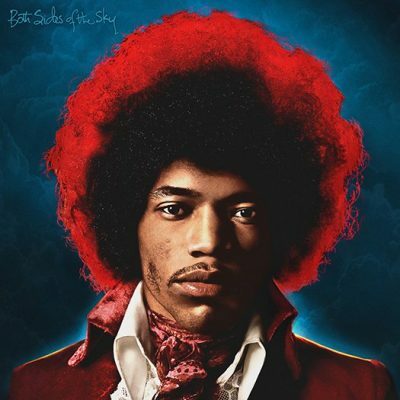 There was also appreciable bass shimmer from the electric guitar, which throbbed with potential power. Upper mids had a rich tonality, occupying the wide soundstage. On Anita O’Day’s version of Sweet Georgia Brown from Verve’s The Jazz Stylings Of…, the Ingenium offered a free, fragile treble on the delicate cymbal strikes. 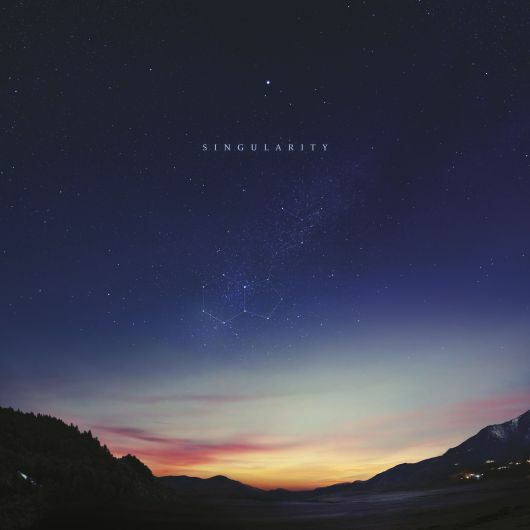 Instrumental separation provided a melange of interesting detail, as brass and double bass formed a solid rhythmic foundation, while the electric guitar played around the feet of the piano to add syncopation to the track. Despite the ‘budget model’ designation, the Ingenium is still a relatively expensive turntable, with a host of competitors biting at its heels; so it has to perform above and beyond the call of duty to warrant attention. It does, but with one proviso: do your best to grab the SME arm. 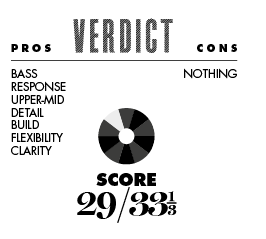 The Pro-Ject is very good indeed and performs very well, but it weighs down the Ingenium just a tad. That is to say, the Ingenium is ultimately too good for the Pro-Ject arm. If your budget only runs to the Pro-Ject, then we’d still recommend the Ingenium/Pro-Ject package, and music will sound superb via this coupling… but look at an upgrade in the future, if possible. The turntable itself is excellent, though, offering superb mid-range insight and detail with an organic, powerful bass that will provide a secure foundation for any rhythm. For many, the Ingenium will be the only turntable they’ll ever need.